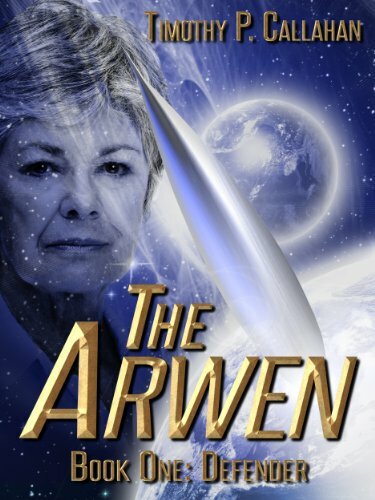 When a comet the size of a small moon threatens the remote world of Regal the Earth Alliance assigns the most decorated ship in the fleet, the Arwen, to destroy it. Its Captain, Marjorie Cook, sees this as an opportunity to redeem herself after a tragic mistake in her past causes the death of over 400 of her crew. It seems like an easy mission but, when the Arwen arrives, it finds things are not what they seem. The Gyssyc ship is in orbit above Ulliam; the Taskforce sent to meet them has been destroyed. Captain Cook fears the worst; the Gyssyc has declared war on the Ulliam. The crew of the Arwen must figure out what happened before a second fleet arrives, the fate of three races rests in their hands. The Earth Alliance prepares itself for a new war. Two old enemies have allied themselves with Regal, the planet the Arwen saved two years earlier, to build a massive Armada assigned to destroy Earth. Vice Admiral Payton Cook must defend the planet against insurmountable odds while Captain Cook does battle to save Ulliam from a deadly surprise attack.